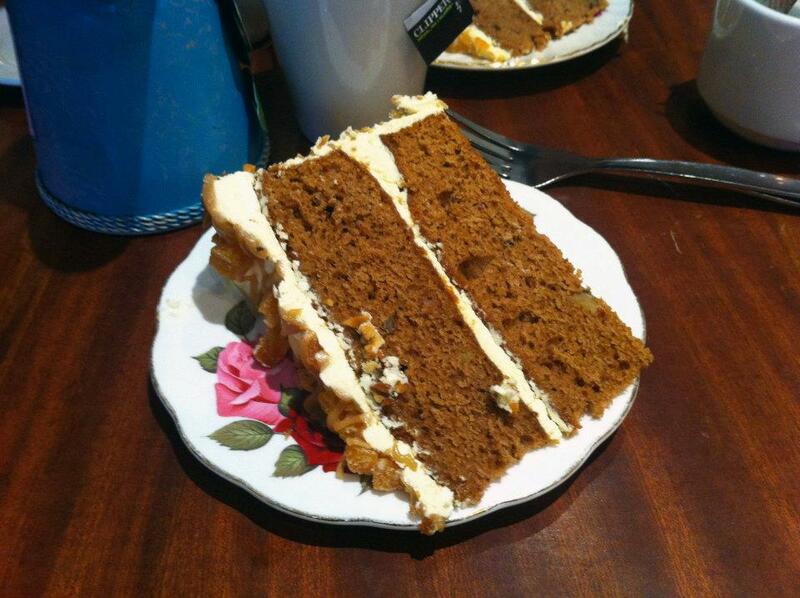 Lovely Brighton: Did someone ask for THE best carrot cake? Did someone ask for THE best carrot cake? I could not find a better way to start this blog than with the best carrot cake I have ever eaten. The first time I had the chance to try this cake was two years ago at the lovely Open Art Gallery Cafe situated in Rottingdean. Since then, I have been looking for a comparable carrot cake everywhere (especially in Paris) but unfortunately I have never found it. Apart from that, they offer a range of nice cakes and cupcakes, but also sandwiches and the traditional english breakfast (not as good as their carrot cake though). This coffee shop was created by a group of local artists and also serve as an art gallery where you can see and buy some paintings, sculptures, jewellery or glassware. They also host a range of workshops and events including Poetry Evenings, a weekly Childrens' Art Club and a Philosophy Café held on the first Sunday of every month from 2-4pm. All in all, if you ever have the chance to step by Rottingdean, you should definitely go to the Open Art Gallery Cafe to have a coffee (or a cup of tea) in a very nice atmosphere.